Some states are comparative negligence states, and others follow contributory negligence rules. The difference between these two models will be important if you ever file a personal injury lawsuit in Riverside. Since California is a comparative negligence state, you can still recover compensation for your losses even if you were partially at fault for your slip and fall injury. Hear how this works by watching this brief video. It uses the hypothetical example of Perry and David. Perry is walking on the street while immersed in a handheld videogame. David is listening to music while skateboarding. David crashes into Perry, and Perry sues David for his injuries. The jury determines that Perry is 40% responsible for the accident, which means David is 60% responsible. The rules of comparative negligence state that Perry’s monetary award will be reduced by 40%. Can I Sue Someone Who Is in Jail? 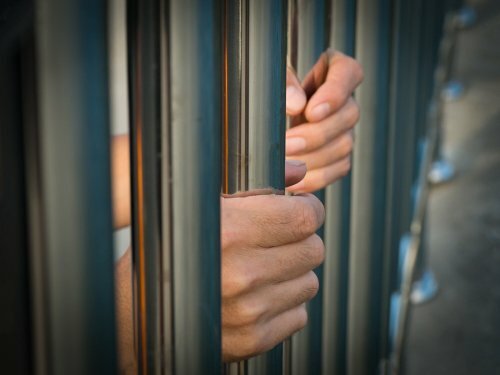 Personal injury lawsuits are sometimes subjected to unexpected snags, such as the incarceration of the defendant. You do have the legal right to sue someone who is in jail or prison, but the logistics will be more challenging. Talk to a personal injury lawyer serving Riverside about the particulars of your case to determine whether it’s worth your time to file a lawsuit. This will depend on factors such as the strength of the evidence against the defendant, the extent of your damages, and the amount of assets the defendant is likely to have. Since the defendant is behind bars, it’s likely that the most significant factor to consider is whether the defendant can pay the damages. If you do have a personal injury lawyer file a claim against an inmate, expect some complications to arise. Inmates are subject to being transferred to different facilities. The same inmate may be transferred several times during his or her sentence. This may delay the resolution of your case. On the other hand, if the inmate was convicted of a crime pertaining to your injuries, then it stands to reason that the lawsuit is based on substantial evidence supporting your claims. Contact our team today to learn more or check out some of our client testimonials. 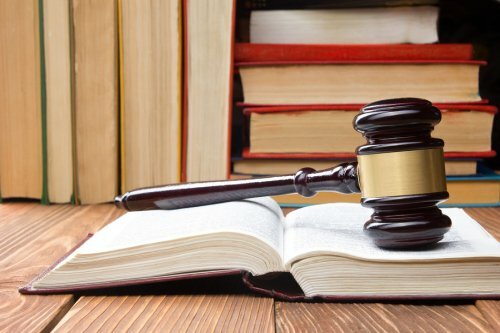 Can You Sue for Intentional Injuries? Battery is the act of injuring someone without legal justification. If you’ve been physically attacked by someone, you can consult a personal injury lawyer in the Riverside area to determine if you have a legitimate personal injury claim. The law does allow victims to sue for intentionally inflicted injuries, but there are exceptions. Your personal injury attorney will need to review the police report and your medical records. The professional featured in this video explains that you can legally defend yourself in a fight and retain the right to sue for damages. However, your claim isn’t likely to be successful if your actions cross the line from acting in self-defense to acting as an aggressor. Your personal injury lawyer will assess whether your use of force corresponded to the use of force by your attacker. 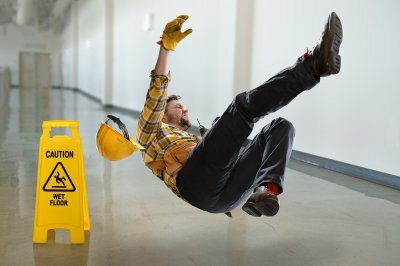 A business might be held liable for slip and fall injuries that occurred on its property, provided the owner was negligent in preventing the incident. Before a personal injury lawyer in Riverside can file a slip and fall lawsuit on your behalf, he or she needs to determine who the defendant is. Businesses that are sole proprietorships are owned and operated by one person, and it’s this person—not the business itself—that can be sued. Your slip and fall attorney might determine that the business is run as a partnership. Each partner is legally responsible for the business, and so each person would be named as a defendant. Corporations are different. They are separate, legal entities. Your legal counsel would file the lawsuit against the legal name of that corporation. A limited partnership is treated the same as a corporation for the purpose of naming a defendant. Of course, even if you’re suing a corporation or limited partnership, there could be multiple defendants, depending on the circumstances of the case. Should You File a Wrongful Death Lawsuit? A sudden death in the family is a shocking event that many people never fully recover from, particularly when the death was caused by someone else’s negligence or recklessness. You may find it helpful to stay busy in the aftermath of the funeral. One of the tasks on your to-do list might be to visit an accident attorney in Riverside to determine whether you can file a wrongful death lawsuit . A legal claim won’t fix your heartache, but it can help you find closure and recover financially from your loved one’s passing. You are eligible to file a wrongful death lawsuit. You suffered economic and non-economic losses. A wrongful death lawsuit is a means of seeking justice on behalf of the deceased family member. You might also decide to file a wrongful death lawsuit because your family has sustained financial losses from the death. If your claim is successful, you may be entitled to receive compensation for your loved one’s medical bills and related expenses, if the death did not occur immediately after the incident. You can request compensation for funeral and burial or cremation costs. You might also be entitled to seek damages for your loved one’s anticipated future earnings, and for your loss of financial support and companionship. Your accident attorney can prove certain elements. The death was directly caused by someone else’s intentional act to inflict harm, or by an act of negligence. The death caused financial injury to the surviving family. The decedent’s estate is represented by an appointed personal representative. You are mentally prepared for the discovery and trial processes. Assuming your lawyer does determine that your case has merit, you’ll need to decide whether you do want to move forward with an accident lawsuit. Many cases are settled out of court, but you need to be prepared for the possibility that your case will go to trial and you may give testimony. Your lawyer can help you understand what to expect and how to prepare. Driver distraction, impairment, and recklessness are all common causes of car accident lawsuits in Riverside, California, but sometimes, the fault lies with the vehicle’s manufacturer. The state’s lemon law—officially called the Tanner Consumer Protection Act or the Song-Beverly Consumer Warranty Act—protects car owners from financial damages caused by a manufacturing defect. An accident attorney can help you sort through the legalese to figure out your options. Is my car covered under the lemon law? Your vehicle is covered if it falls into one of those categories. Vehicles are only covered if they are still within the original warranty period. 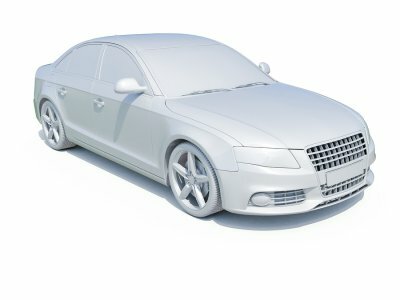 How can I prove that my car is a lemon? Four-plus attempts have been made to fix the same warranty problem. Two-plus attempts have been made to fix a warranty problem that could result in serious injury or death if the car is driven. The defects are not caused by the consumer’s abuse of the vehicle. The defects substantially affect the vehicle’s safety or value, or the consumer’s use of the vehicle. Mechanics have held the vehicle for 30 days to fix the problems. The days do not necessarily have to be consecutive. Can I return a lemon? If your situation meets certain criteria, yes. The manufacturer must provide a replacement or do a buyback. A replacement of the car will only occur if both the owner and the manufacturer agree to it. The replacement option requires the manufacturer to provide you with a substantially identical vehicle. Your new vehicle will have a new warranty. In a buyback, the manufacturer must pay you the amount the car cost, minus an offset for mileage. Statutes of limitations apply to both criminal cases and civil accident lawsuits . A statute of limitations is a deadline. Once it expires, an injured party no longer has the right to file an accident lawsuit. This is one crucial reason why it’s important to speak with an accident attorney in Riverside as soon as possible after an incident occurs. If you wait too long to speak with a lawyer about your options, legal recourse may no longer be available to you. Statutes of limitations vary from state to state. There are different deadlines for different types of claims. For example, a claim for property damage carries a statute of limitations of three years. Any type of personal injury claim usually has a two-year statute of limitations. The clock starts ticking from the date of the injury. However, it is possible for a patient to not detect the injury right away. If this is the case, then patients have one year to file the accident lawsuit from the date that they discovered the injury, even if two or more years have passed. Driver distraction often forms the basis of car accident lawsuits filed in Riverside. 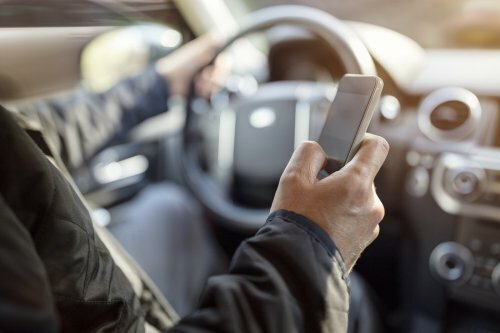 Your car accident lawyer may uncover evidence that shows the other driver was texting or talking on a cellphone just before the crash. In addition to unlawful and dangerous cellphone use, there are many other causes of distracted driving. If surveillance footage of the crash scene is available, your car accident attorney can review it to determine if other distractions may have played a role. 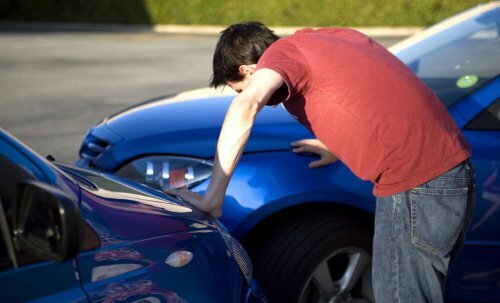 An accident lawyer can also interview passengers and other eyewitnesses. During the course of this investigation, the accident lawyer may find that the other driver was reading a map or using a GPS device before the crash. Other forms of distraction include gawking at billboards, rubbernecking at roadside accidents, and talking with passengers. It’s not unheard of for some negligent drivers to apply makeup or eat while trying to drive. Adjusting the radio or CD player, and disciplining unruly children in the backseat are other common causes of driver distraction. Police misconduct is a loaded subject that often triggers strong emotions. If you or a loved one has been a victim of police misconduct, you’ll need the legal advocacy of an experienced personal injury lawyer serving Riverside. 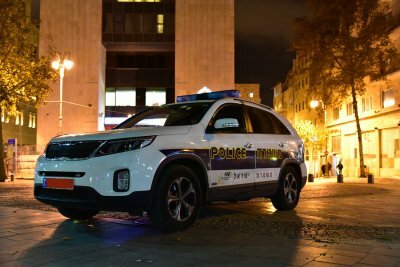 There are some legal obstacles concerning police misconduct, as the concept of government immunity applies to the actions taken by police officers while on the job. However, as your personal injury lawyer can advise you, the state of California has recently passed a couple of laws that extend greater rights to citizens involved in these cases. Your personal injury lawyer will need access to all available evidence to protect your legal rights. Fortunately, thanks to the signing of SB411, Californians can no longer be charged with obstruction of justice simply for photographing or recording police officers in public areas. Another recently signed bill, SB277, eliminates the role of grand juries in police misconduct trials. This is significant because some recent, notable police misconduct cases resulted in a grand jury’s decision not to issue an indictment. It’s commonly thought that grand juries do not offer sufficient transparency. Government immunity means that a government entity cannot be sued, except in cases where permission is granted to do so. However, this legal doctrine does have its limits. It is possible for your personal injury lawyer to take legal action if the police officer has acted outside the scope of his or her reasonable duties, and/or violated a person’s constitutional rights. There are several types of police misconduct. A case might involve claims of false arrest, which occurs when a police officer arrests a suspect without having probable cause or a warrant. Excessive force means that a police officer used force that was unreasonable for the situation. There are strict deadlines to file police misconduct claims, which is one reason why you must consult a personal injury lawyer promptly. Your lawyer must file a notice of claim within six months for cases involving false arrest or false imprisonment. The notice of claim is essentially an official announcement of your intention to file a lawsuit. After filing the notice of claim, you’ll have up to a year from the date of the incident to file the lawsuit. Catastrophic injuries, including amputations, may form the basis for a personal injury claim. An accident lawsuit can involve either traumatic amputations or surgical amputations. A traumatic amputation occurs during the course of the accident. For example, a car crash might result in the violent loss of an arm or leg. A surgical amputation is performed by a surgeon. These intentional amputations are done for the purpose of saving the life of the patient when a hand, foot, or limb has been compromised by a serious medical problem, such as an infection. 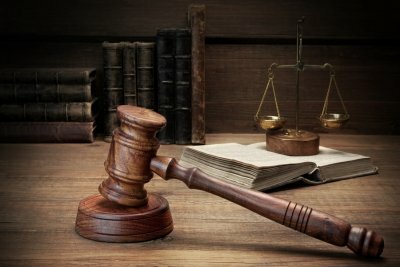 It is still possible to file a catastrophic injury lawsuit with the help of an accident lawyer after undergoing a surgical amputation, as long as the surgery directly resulted from someone else’s negligent or reckless actions. For instance, a car accident lawsuit might claim that the crash crushed the victim’s leg, which later needed to be amputated. In addition to motor vehicle accidents, other possible causes of amputation injuries include medical malpractice and defective products. Defective power tools or home exercise equipment, for instance, might cause a traumatic amputation.